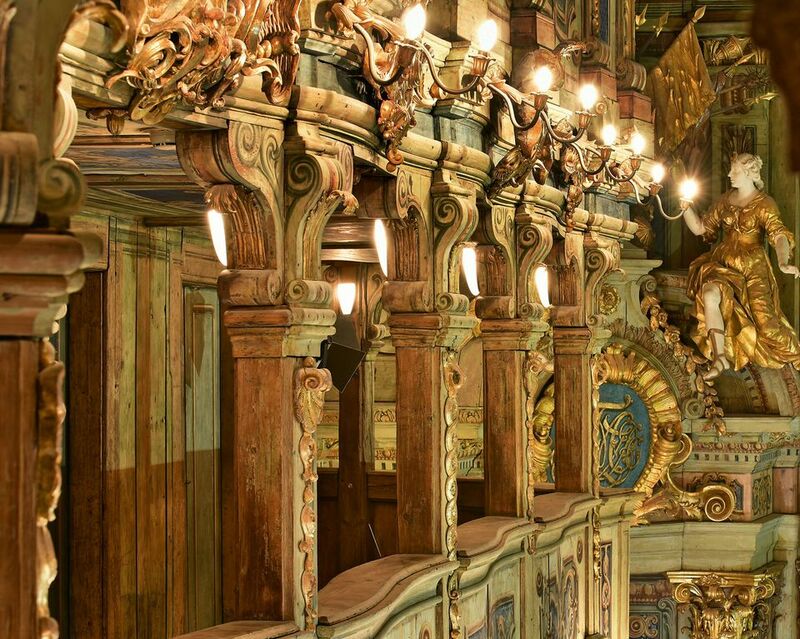 The Margravial Opera House has reopened following six years of restoration. After it gained Unesco World Heritage Site status in 2012, it closed for restoration to preserve itself as a monument of European culture. The time of construction is particularly remarkable, bearing in mind the original theatre only took four years to build. The Free State of Bavaria invested €29.6m in the building. Faithful to the original, the grandness of the interior is evident in this image, a view of the “Fürstenloge” or “royal box”. The opera house was first built in 1748. 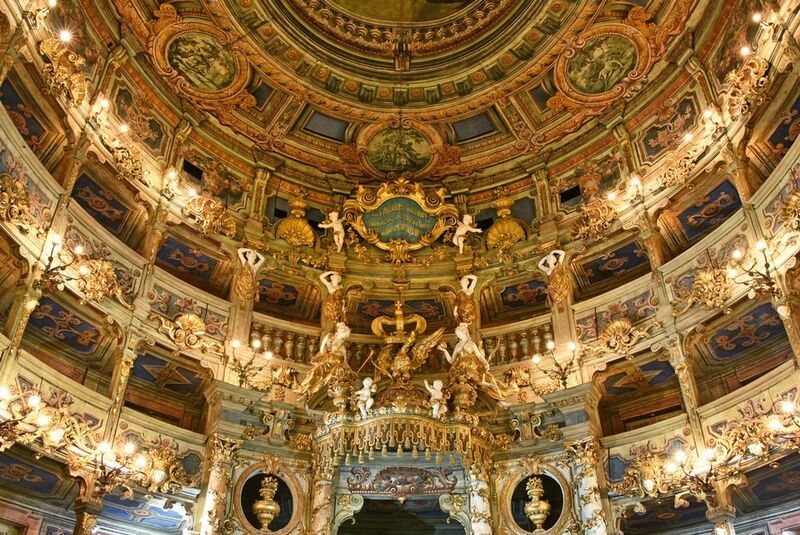 One of the first operas to be performed at the venue, Artaserse by Johann Adolph Hasse, has been reprised for this grand reopening, showing on 12, 14 and 15 April. This is the view of a rank in the auditorium in front of the left trumpeter’s box. 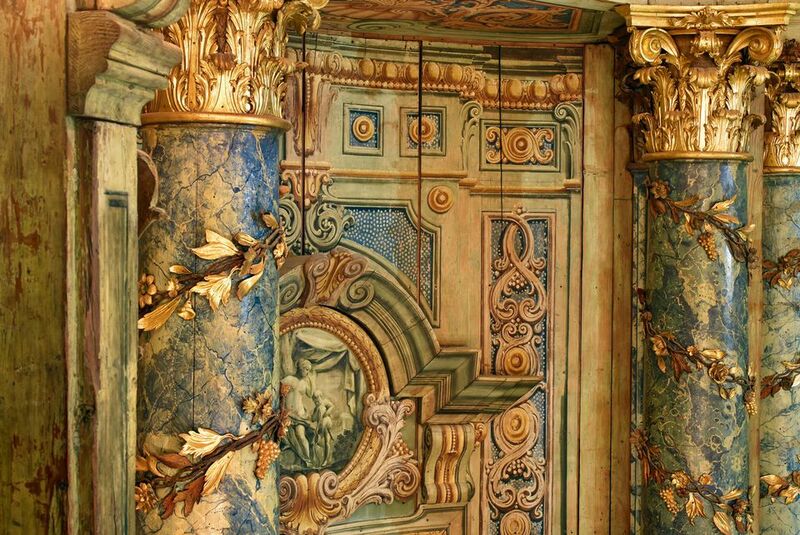 Sections like this view of the columns with grisaille medallion are an example of the Baroque architecture of the time. The aim of the renovation was to conserve rather than reconstruct the building. Conservers were up to 30 in number at times, focusing on removing layers of paint and dirt as well as retouching. 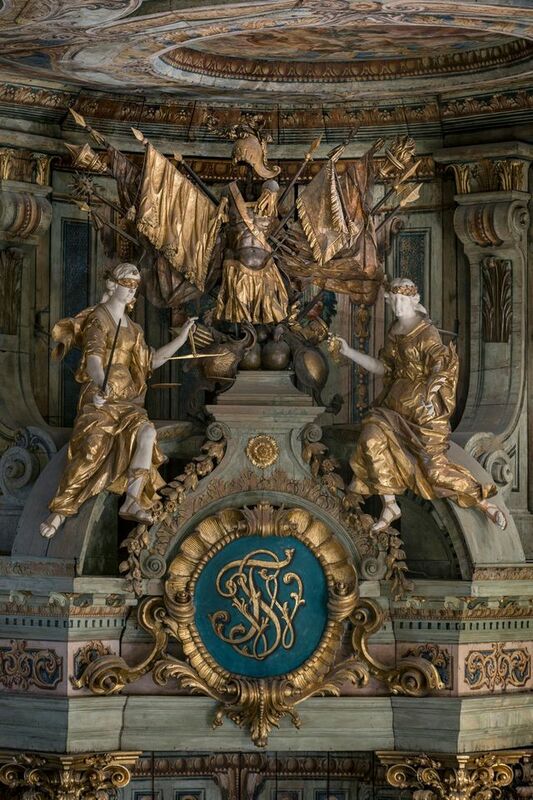 This made the building much brighter, as it would have been at the time of Magravine Wilhelmine. Reconstruction was kept to a minimum, but the stage had to undergo significant change. A new backdrop and curtain were created based on comprehensive art-historical research. The backdrop, designed by Carlo Bibiena for the inaugural opera in 1748, has also been reconstructed, visible through the main curtain and curtains framing the stage. 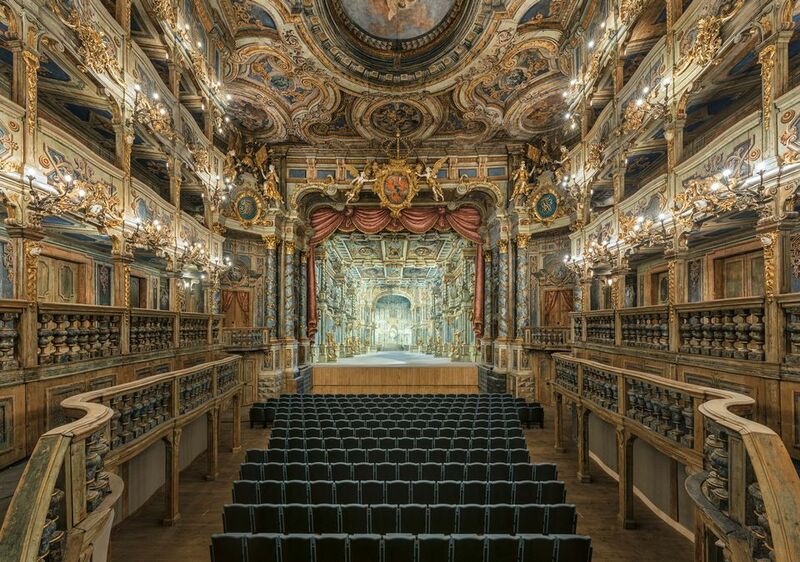 The opera house was first built for the marriage of Margravine Wilhelmine’s only daughter Princess Elisabeth Friederike Sophie to Duke Carl Eugen von Württemberg in 1748. The original opening came alongside a magnificent festival and performances of Italian operas. 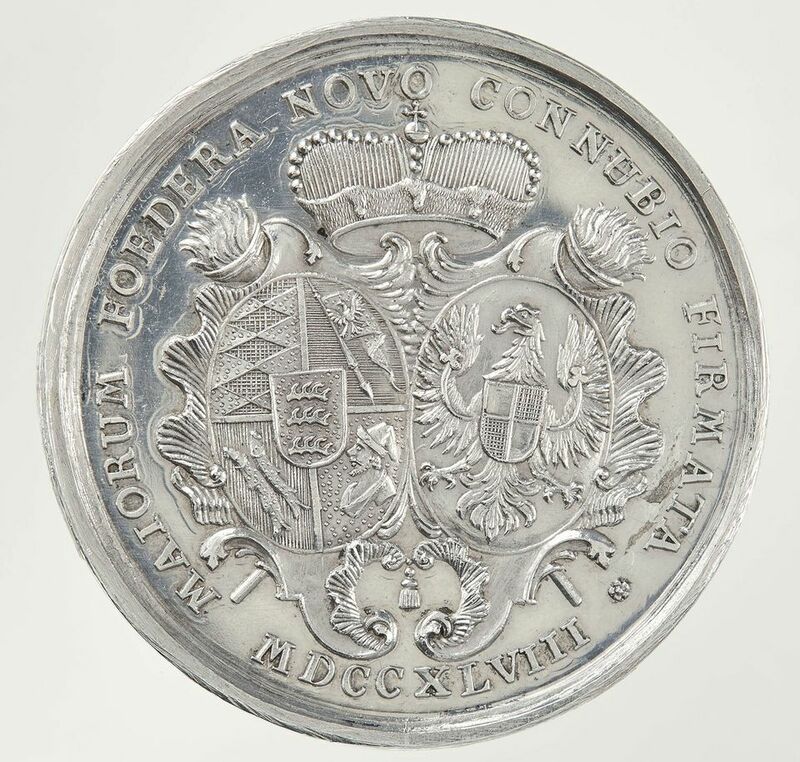 This depicts a commemorative silver medal for the occasion of the wedding, showing the coat of arms of the bride and groom. The venue will be used as a museum as well as a setting for concerts. 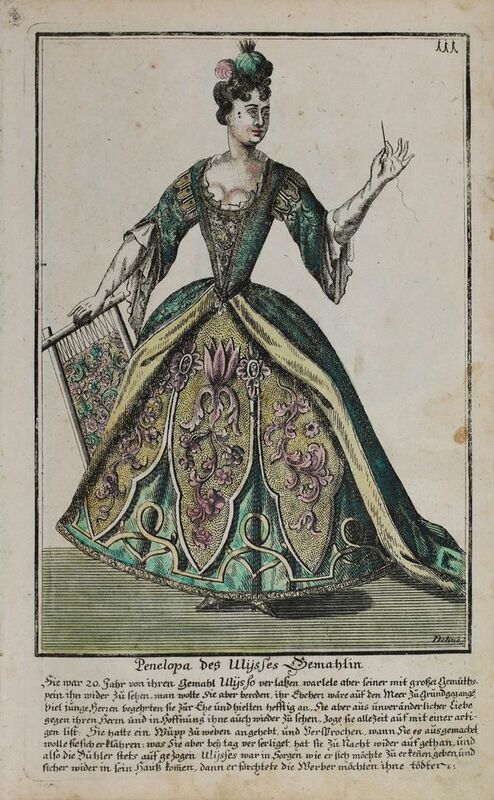 This is a picture of a Baroque-era theatre costume by Penelope from the Bayreuth engraving collection. 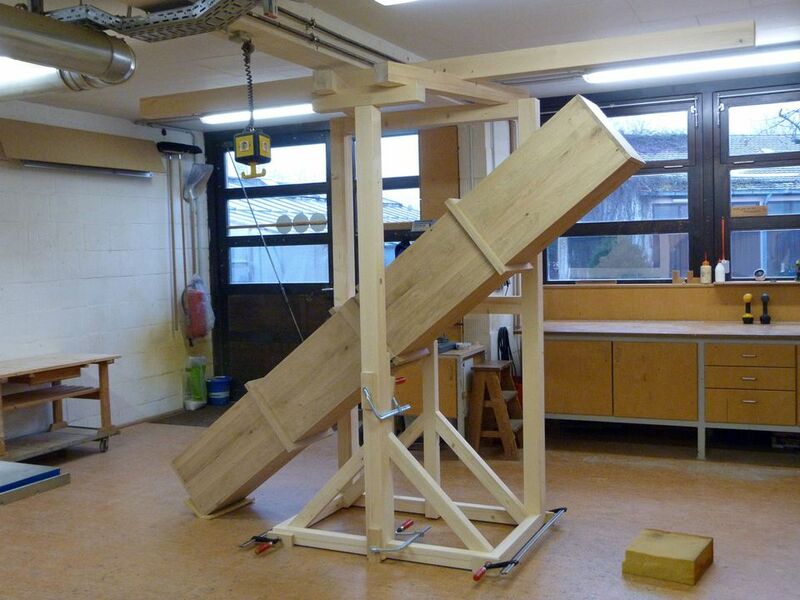 Behind the scenes of the elaborate staging, this is a Baroque theatre machine that simulates the sound of thunder with the help of lumps of wood. 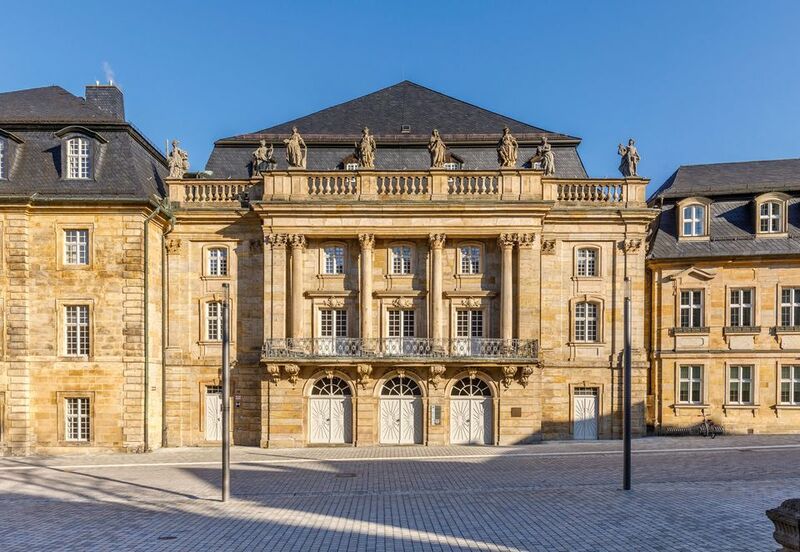 While this theatre pre-dates the composer, the culture of the town of Bayreuth is particularly synonymous with Richard Wagner, who lived there for the final decade of his life and is the subject of the annual Bayreuth Festival at the town’s Festspielhaus. 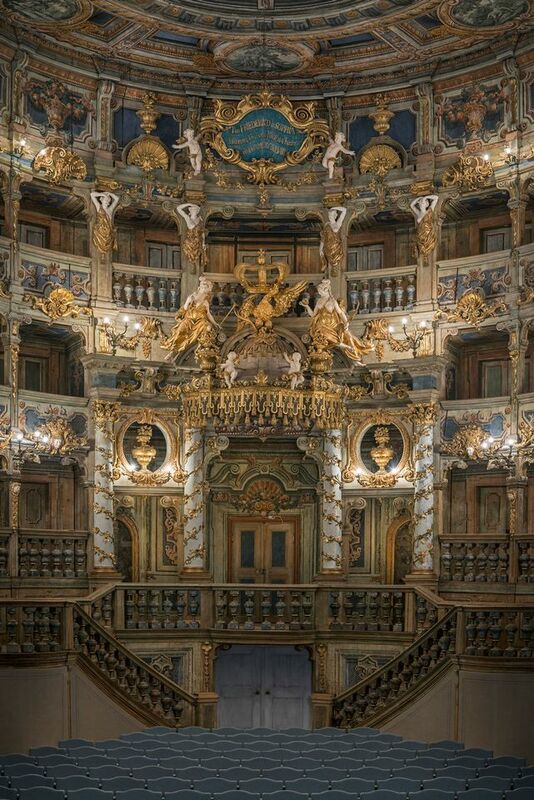 When Margravial Opera House is used for concerts in the summer, Bayreuth will see another great hub of German culture take its place in the town.